Hair perming goes way back in history with the ancient Egyptians wounding their hair around sticks, coating them with clay, and finally baking them in the sun. They also discovered a way to permanently curl their hair by wrapping the hair around sticks and boiling them in water. In 1905, Karl Nessler invented a new perming machine that used sodium hydroxide, brass rods that were heated to 212°F, and took about six hours to complete. He experimented with his wife who suffered many scalp burns and burnt hair before he got the machine right. By the 1930s, hair perming was such a hit that women set their hair on rollers every week and got them permed every three months. However, the heated machines led to a number of electrical accidents. So in 1931, Ralph L. Evens introduced the heatless system. This was replaced after World War II by the cold wave method which took six to eight hours to complete. While many people shy away from perms because they are not interested in having the tight spirals or curls that are so typically associated with this hairstyle, a body wave perm is a wonderful way to add volume and a natural wave to your hair without making the curls too tight. This is a very popular type of perm for people who are interested in increasing the volume in their hair and want a natural look. Because the end result is not tight curls, a body wave perm is a great option if you have curly or straight hair. Additionally, this kind of perm is ideal for any type of hair, whether it is fine and flat or thick. This is not a permanent type of perm, which means that the results generally only last for around three to five months, depending on the original texture of your hair. This makes it a great option if you want to change up your look, but don’t want to commit fully to a perm that will last until your hair grows out. This type of perm is ideal for people who have curly hair, but don’t have the definition in their curls that they crave, who want a relaxed look, and need to increase the amount of body that their hair does. Because perms still do require some daily maintenance to look their best, you will not want to opt for a body wave perm if you are unwilling to use serums or creams every day when styling your hair. This is a type of permanent wave that can vary in appearance, depending on the size of the rods that are used, how skilled the hairstylist is, the type of hair that the person has, and even what chemicals are used to set the perm. The end result of this type of perm will be very tight curls that are generally twisted like a corkscrew. The end result of a spiral perm is very tight and curly hair that will bounce and move with the person and will “spring” back up into shape if they are pulled. If you want to add a lot of volume to your hair, then a spiral perm is a great option, as the curls will not be able to rest flat against the head due to the volume in each of the curls. When done correctly, this type of perm will generally last for around six months, but a less skilled hairstylist will not be able to create a perm that lasts this long and looks great. Over time, a spiral perm will slowly relax, which means that the curls will not be as tight as they were in the beginning and will tend to be a little looser. If the curls themselves start to flatten out completely, then something went wrong during the perm and it will need to be addressed. There are special hair care products that will need to be used on hair that was put into a spiral perm due to the harsh chemicals used during the perming process. This type of perm is not going to last nearly as long as other types do, and are generally best suited for women who have short or medium hair. By using curlers and pins, it is easy to make pin curls that can be quite tight up against the head. Using different size curlers will allow you to easily change the appearance of your curls, as you can opt for larger curlers to have looser and beachier looking curls, and smaller ones if you want a perm that looks like a spiral perm. Because there aren’t any harsh chemicals used during this process, you are not going to damage your hair. Unfortunately, this also means that your pin curl perm is not going to last very long. Hair gel is often used to create pin curl perms, and when it is washed out, the curls themselves will wash away, leaving the hair as straight as it was before. While it is possible to put pin curl perms into longer hair, it is generally much more difficult to do so. As a result, this is a type of perm that is commonly seen on shorter hair. Shorter hair is much easier to work with when you want to create a pin curl perm and is a wonderful way to add movement and bounce to hair that would otherwise hang flat and straight around the face. Spot perming is a type of perm technique where the person chooses a section of hair to have curled or permed. They are also commonly known as “partial perms” since they only are used on a specific area of the head, rather than covering the entire head. There are a few reasons why people opt for a spot perm, including wanting to increase volume in a specific area of the head to cover a balding spot. Another reason to opt for a spot perm is that you can easily create a more uniform look, which is great if you have some curls on one side of your head, but not on the other, as this will allow your hairstylist to easily curl your hair for an even appearance. Just like most other types of perms, spot perms rely on harsh chemicals to relax the hair before it is wrapped around a rod or a roller. The type of rod or roller used is dependent on what appearance is desired when the perm is completed. While any section of hair can easily be spot permed, you will want to take into consideration the overall appearance of your hair before opting for this type of treatment, as perms will last for months before eventually relaxing and the hair needing to be permed again. It’s a good idea to only to go a stylist who has experience with spot perms so that you don’t have to worry about whether or not you will be happy with the final result or if your hair will look uneven. Root perms are, just as the name implies, done at the roots of the hair so that the person can experience more body and volume. Unlike other types of perms, which will add volume to all of the strands of hair, root perms are generally only performed on the two to four inches of hair that are closest to the scalp. Having a root perm done on your hair is a wonderful way to add a lot of volume to your hair without having to worry about fixing your hair every morning and trying to use products to add volume. The problem that some people experience when they opt for a root perm is that if they have limp or very fine hair that the root perm won’t last very long. This means that as soon as the hair has grown out enough to be able to lay flat on the head, another perm will be necessary. One important consideration when you are getting a root perm is to make sure that you are carefully protecting the rest of your hair that has already been permed. This is important so that you do not get more harsh chemicals on your strands, which can be very damaging. The permed parts of your hair need to be protected with special products to prevent the perming chemicals from being able to penetrate the ends. For this reason, it’s a good idea to trust a professional to complete a root perm, as they will be able to ensure that the perming chemicals stay in place and do not spread over the head. The right size rods need to be used to ensure that the lift and volume added to the roots will be as natural as possible. One of the best ways to create a very natural hairstyle and look is to opt for a multi-textured perm. Of course, you do have to make sure that your hair is long enough to handle this style, as if your hair is too short, then you will not be able to carry off the style without your hair looking strange. With this type of perm, the hairstylist will use a combination of two different sized rods to perm your hair. By doing so, a hairstylist is able to create a very natural look thanks to the way the two different size curls will fall and lay on each other. If you want a very natural look and one that will not obviously be seen as a perm, then it’s a good idea to consider a multi-textured perm. Thanks to the way that the curls will fall on and around each other, it is very easy to pass this type of perm off as being your natural hair. This is great if you have always wanted to have more natural bounce, movement, and curl in your hair, but have been unable to achieve the look that you want on your own. Because there are two different size rods used and because the curls need to be layered correctly and placed in attractive locations on your head, it is generally advisable to go to a professional for this type of perm. It can be difficult to know where to put the two sizes of rods, which can result in a very unnatural look if not done properly. While many people think that a partial perm is the same thing as a spot perm, they are actually very different. While a spot perm is used to add volume or curl to a specific area on the head, generally to compensate for flat or thinning hair, a partial perm is applied all over the head, just not to all of the hair. This means that some sections of a person’s hair are going to be permed and curled, while others are going to be left natural. By perming only part of the hair and making sure that the permed areas are placed strategically around the head, the hairstylist will be able to make the whole head of hair look much more organic and natural. Any hair that isn’t permed during a partial perm is going to remain the same as it always has. This means that if it was straight, then it will remain straight. If it was wavy or slightly curly then it will retain the same amount of wave or curl. Only the hair that is permed will change, which is why you need to make sure that you only trust a professional to perform this work, as you want the results to be as natural as possible. When done correctly, a partial perm will create body and movement without the permed hair being obviously separated from the natural hair. Stack perms are permanent perms where the ends and the middle of the hair are curled, rather than the entire length of the strands. They are a great choice if you are interested in a perm that will improve the appearance of your hair without looking unnatural, as they add both volumes and curl in a very natural way. Because the stylist who completes a stack perm will generally use a large variety of sizes when selecting rollers, they are able to add a lot of volumes and even given the illusion of layers. This type of perm is very common with women who have hair that is all one length, as a skilled stylist can easily make the hair look more voluminous. While it is possible to buy a kit to complete a stack perm at home, there are often problems that can arise with trying to DIY your own perm. One major problem that many people run into is knowing exactly where to place the different size rollers for the best final result. Additionally, home kits often don’t have a number of different size rollers to choose from and the chemicals may not be strong enough to create a strong perm. If you have hair that is shorter than your shoulders, then a stack perm may not be the best option for you, as it will cause your hair to look shorter than it actually is. Longer hair that is in great condition and very healthy is a good candidate for a stack perm. Hair that is at all unhealthy is prone to breakage and looking dried out, which can make the middle and end of your hair look unhealthier than your roots. This type of perm is used specifically to create more volume in the hair. While other types of perms focus more on creating typical curls or ringlets, a volumizing perm is designed to create volume thanks to the creation of bouncy waves. While traditional perms can last for months at a time before fading or falling out, volumizing perms generally only last around six weeks before the hair will need to be treated again to improve the volume and appearance of the style. Additionally, while many types of perms are better suited to longer hair, volumizing perms can be used on a wider range of hair types and cuts. While the same chemicals used in a traditional perm are also used in a volumizing perm, the rods are taken out of the curls before a neutralizer is applied, which results in natural and relaxed curls and waves as opposed to tight curls or spirals. 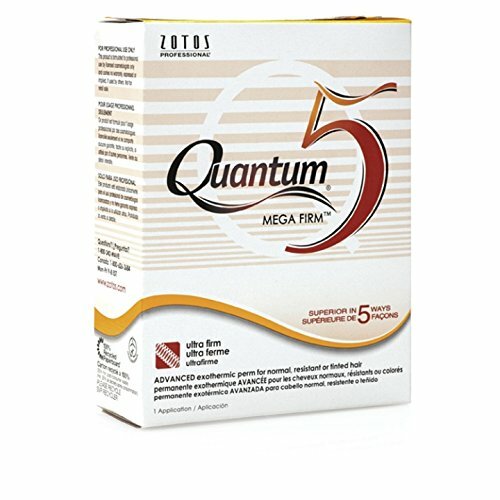 This is a wonderful way to improve the appearance and body of flat and thin hair without resorting to using a lot of styling products every single day. Like with any other type of perm, it’s a good idea to use products designed specifically for permed hair so you can make sure there is plenty of moisture in your hair to keep the strands as healthy as possible. Acid perms require chemicals that have a pH between 4.5-7.0 to perm the hair and also rely on heat to make the process go by faster. Often used on hair that is thinner than normal, acid perms use a formula that is much more gentle on your hair than other types of chemicals. However, if you are very sensitive to chemicals, then you need to be careful, as it is common for people to have an allergic reaction to the glyceryl monothioglycolate used in these perms. This perm method is a great choice if you have color treated hair, as the lower pH level means that the chemicals are generally much less damaging to your hair. Another reason why you may opt for acid perms over alkaline perms is if your hair is damaged from the sun or other treatments in the past. 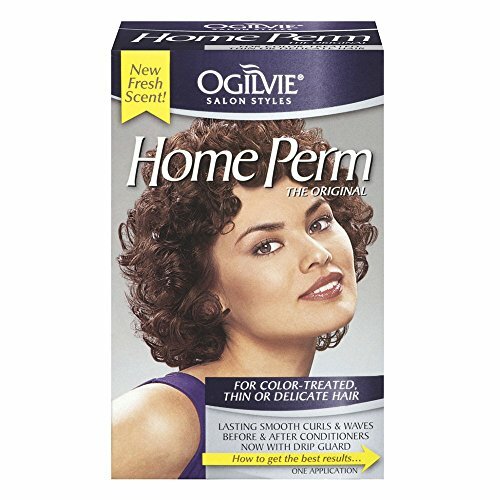 Since acid perms are much easier on your hair you won’t cause as much damage with your perm. The problem with this method of perming hair is that the curls will generally not last as long as curls created with other perming methods. Because the chemicals do not penetrate the hair as easily as other methods do, the curls will tend to relax much faster. However, this also means that the hair is not going to be as damaged as if you were to use a harsher chemical to perm your hair. If you want softer curls that won’t damage your thin hair as much as other chemicals will, then you need to consider an acid perm. 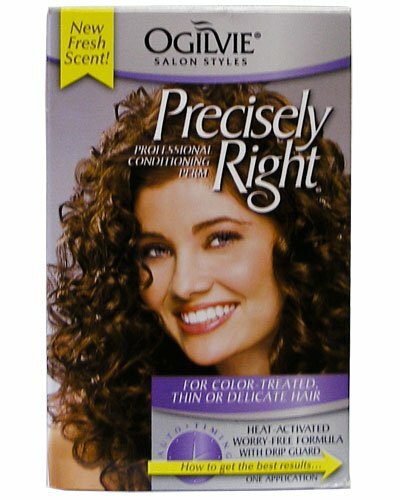 This perming method uses ammonium thioglycolate and requires a pH of 8.2-9.6 to curl the hair. It doesn’t require an external heat source the way that acid perms do, and will usually result in a much stronger curl. Because the chemicals that are used with alkaline perms are much harsher than those used with acid perms, you do need to be careful that you don’t accidentally damage your hair, especially if you have thin, fine, or brittle hair. This perming method is generally only reserved for people who have coarse hair, although people who have fine hair can talk to their hairstylist about whether or not it is a good choice for them. Before opting for this method you will need to consider the pros and cons and make sure that your hair can handle the stronger chemicals. If you do opt for an alkaline perm, then you will be rewarded with curls that last for a longer time and are much more defined than the wavy curls that are so traditionally associated with acid curls. Additionally, alkaline perms can be activated in just 20 minutes. While they do smell very strong and are much more damaging to hair, they will last for a very long time. These perms are self-heating and self-timing and rely on a chemical reaction that will perm the hair from the inside of the strand to the outside. This means that the hair itself is permed because of an internal heat. These perms are much faster than acid perms and will allow you to have bouncing curls, rather than just wavy hair with lots of bodies. Unfortunately, if you have very thin hair, then you may be disappointed that an exothermic perm is not able to give you the body that you want. If you want a lot of movement and bounce in your hair, then an exothermic perm may be a great option for you. There is a special lotion that is applied to the hair to produce the waves in this perm, and this lotion is what creates the chemical reaction. If you have very fine hair and simply want to enjoy more movement and natural definition in your hair, then an exothermic perm is a great option to consider and won’t cause as much damage as some other perming methods will, which will help keep your hair healthier for a longer period of time.